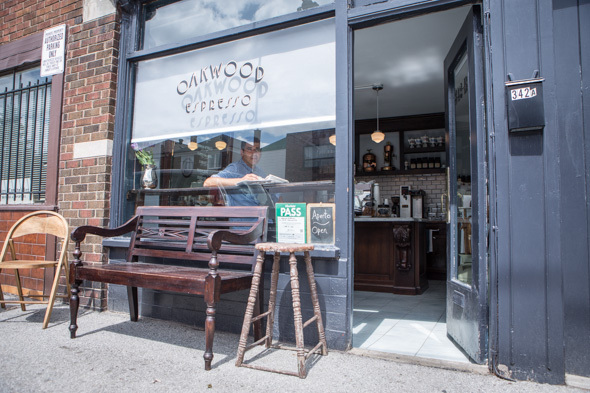 Oakwood Espresso is a tiny coffee shop located just around the corner from Oakwood Ave., a few blocks north of St. Clair West . The corner of Oakwood and Rogers, where the cafe is located, is part of a pretty old-school Italian area, and most of the street's businesses have been standing for decades (a hair salon down the street still advertises "Jherry curls" on the peeling sign). 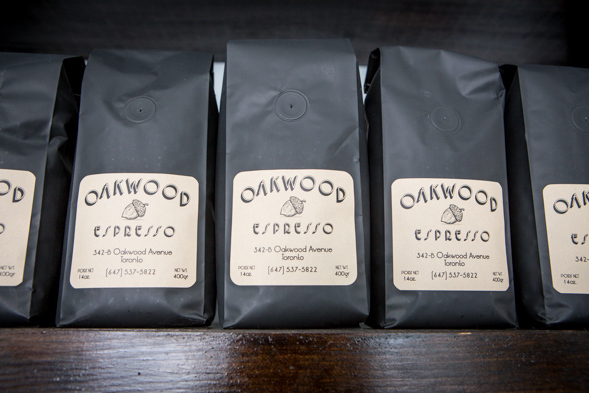 That's fitting, since Oakwood's owner and sole barista, Tony Cavaliere, is an old-school sort of guy. Cavaliere, a "repair guy by trade," has been fixing espresso machines since the mid-'90s; odds are, he's probably worked on the machine at your local cafe at least once. 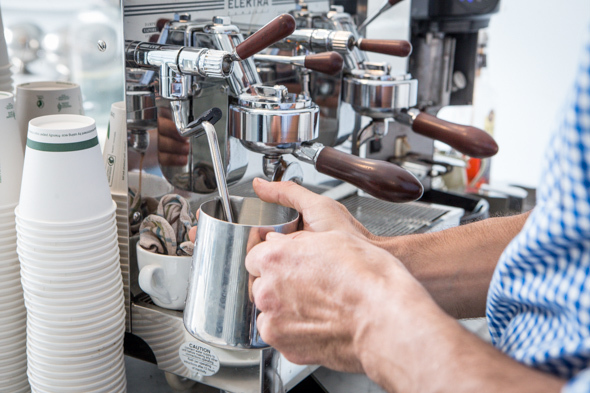 "I was going to open up a repair shop, because my business was getting busy doing that," he explains, "but my heart's always been in coffee culture." It would have remained an espresso machine repair studio, he says, had it not been for a sudden string of coincidences. 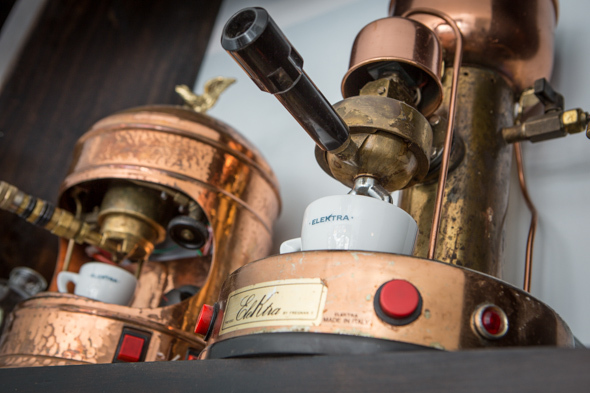 Some time ago, Cavaliere paid a visit to a friend, to check out what would soon be his buddy's new espresso machine retail shop. As they headed up to the loft area, Cavaliere's eyes fell on a magnificent wood desk with carved details and a huge marble slab spanning the top. The desk had to go, his friend explained, since the contractors were coming to gut the place. 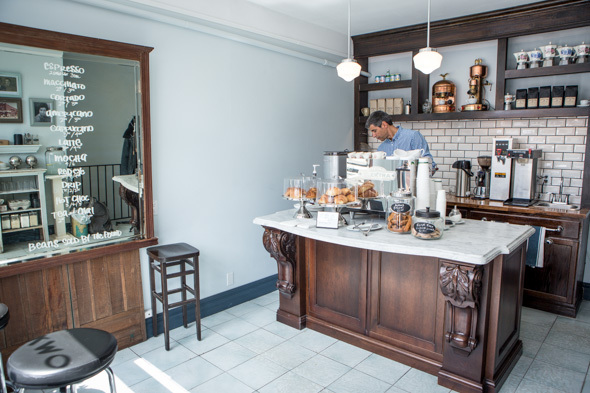 A few hours later, Cavaliere went to check out a possible spot for his new repair studio, and immediately envisioned that desk sitting in the centre of the space. "I put two and two together. I was like 'Boom, it's coming in here.'" That giant marble desk - carved, serendipitously, with oak leaves and acorns - is now the hub of the four-seat coffee shop (the repair studio ended up in the basement). The tiny space was once a hair salon, but going back to the early '80s, it was a sandwich shop owned by a woman who, to add yet another layer of coincidence, turned out to be his girlfriend's aunt. A photo of her and the old shop are both hanging on the wall, along with some cool vintage snaps of local residents. 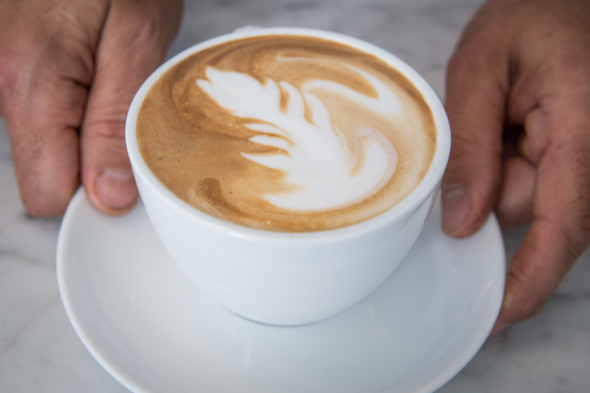 The beans he uses are Rufino ; though he's tried blends from countless producers over the years, he explains, he's less a fan of the current trend toward more bitter, sour flavour profiles, continually gravitating toward the nuttier, more quintessentially Italian roasts. 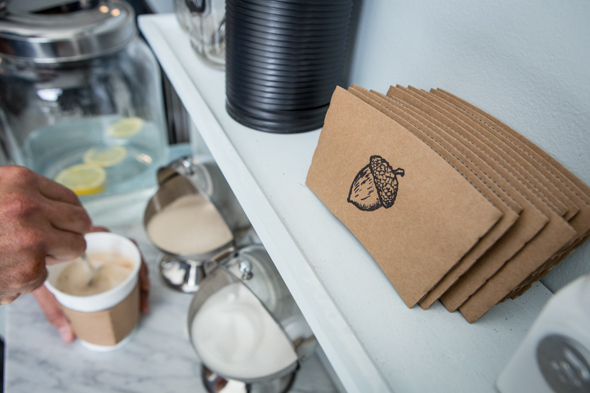 Since the counter is so tiny, visitors bag their own baked goods. 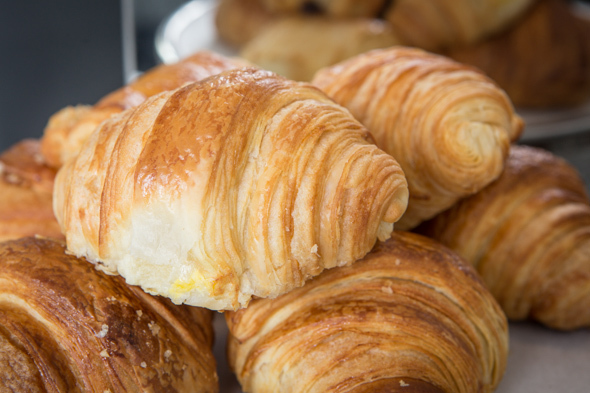 Cavaliere keeps things local with pastries from Pain Perdu and scones from Baker & Scone (though the latter tend to sell out quickly). 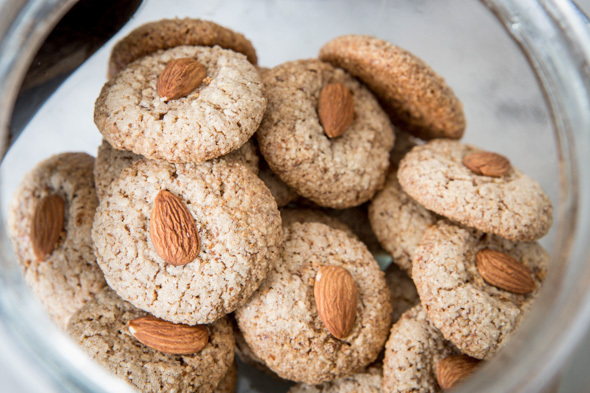 The spirit of the neighbourhood is already woven into the fabric of Oakwood, but as the locals - neighbouring families, workers, teachers from the nearby school - get wise to the new shop, Cavaliere's seeing more and more connections forged every day. "There are people who live across the street from each other, and they don't even know it - they'll meet here," he says. "That's a good feeling, when that happens."